King was only 10 weeks old when the seizures started. 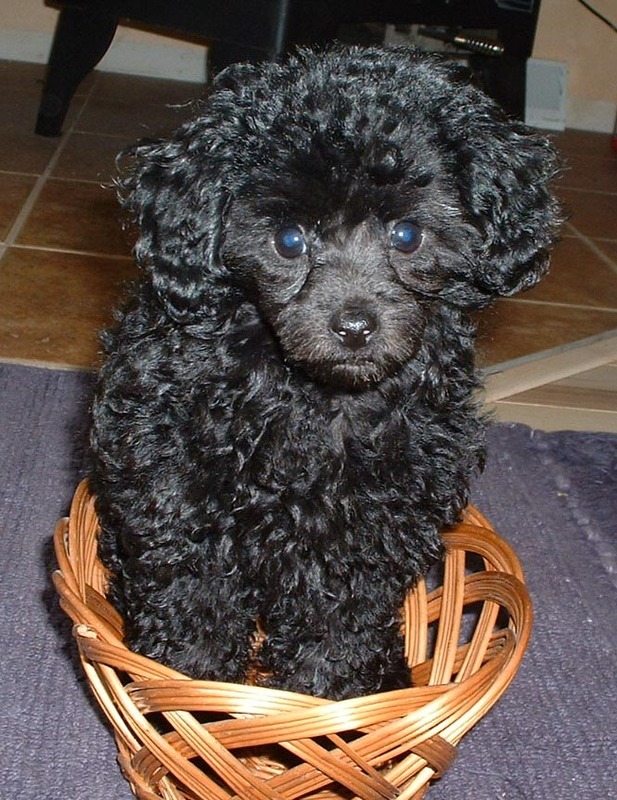 This tiny toy poodle of two and a half pounds had already worked his way into my heart. I recognized the flailing legs and odd body contortions as a seizure having lived through it before with my dog Boo Boo. I began calling all the vets in the area and found a vet who would meet us at the Amherst Vet Clinic on this Sunday afternoon. After examining him, the vet felt he hadn’t had a seizure but he might have an ear infection. She gave us medicine for the ear and sent us on our way. Though I wanted to feel relief, the scene lingered in my mind and part of me knew it had been a seizure. I contacted my regular vet and scheduled an appointment the next day. In the wee hours of the morning, King had two more seizures. The next day, I took him to my vet and called a friend near Chicago, also a vet to get her advice. She recommended getting him to the nearest neurologist. When I got to my vet, he made some calls to UW Madison but the neurologist would not be in for several days. Our next best option was the Fox Valley Referral Center in Appleton. We drove the 45 miles to Appleton. The adrenaline kicked in and my heart raced. My mind followed with “how could a dog so young have seizures?” Did he get into something toxic? What was to become of this tiny, precious life? The triage nurse quickly assessed the situation and he was admitted and placed on seizure watch. He had four more seizures in the next 36 hours. Seven seizures in 72 hours. His tiny, short life was in imminent danger. To assess what might be causing the seizures, they began a multitude of tests including a cerebral spinal tap. We left him in their hands feeling helpless. When we arrived home, I contacted the Animal Distant Healing Network, an organization of healers around the world who volunteer their services for animals and people. I explained his condition and by morning emails were coming in from healers around the world praying and sending healing energy to King. The next day we drove to visit him and get the test results. As we exited the last ramp, a deep unexpected peace came over me. There was a shift in my being and energy I didn’t understand. The adrenaline ceased. My heart slowed. It felt odd to have such serenity yet I was grateful for the break from worrying. Arriving at the hospital, the vet assistant greeted us. “When the Dr. took the spinal tap there was a complication. Because he’s so tiny, she inadvertently poked his brain stem with the needle. As a result, there was blood in the draw so we are unable to use the sample. He’s also having some neurological issues that could be the progression of the disease or may be the result of the spinal tap”. In spite of this news, my deep sense of calm was still with me. Deep in my being, I knew the neurological issues weren’t the progression of any disease but the result of the spinal tap. She took us into a small private room, brought King in and left us alone. We set him on the floor and he walked lilting to the left, walking in circles as if his left hind leg had been pinned to the ground. This was not the puppy we brought in. My partner and I sat down facing each other. 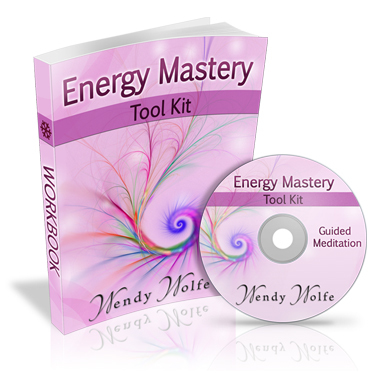 Though I had never taken a Reiki or other energy healing class, I instinctively knew what to do. I placed King on my lap, gently laying my hands on him. Pulsating energy began to flow through my heart center and out my hands to King. The vibration intensified and my being was overtaken with sounds and chants I’d never uttered before. Deep, visceral indigenous sounds gushed out from the depths of my diaphragm. The chanting felt foreign and at the same time, as if I had been doing this for many lifetimes. My body was buzzing from head to toe. The energy between King, my partner and I was enmeshed, pulsating and aglow. There were no thoughts about what others might hear there was only the clear calling to act. After about 10 minutes, the vibration began to slow, the chanting ceased. With confidence, I looked at my partner and knew we were done. Shortly after the doctor came into the room placing King on the table and conducting a few neurological tests. With a puzzled look on his face he said, “His neurological issues are improving. He’s doing much better already”. We spent a little more time with King and left him again in their hands. We took King home and two days later I drove to Madison to see the Neurologist at the UW Veterinary College. An MRI revealed a swollen brain stem from the spinal tap. No other pathology was found in his brain. All other tests were negative. The only potential cause never ruled out was a reaction to the vaccinations King had received twelve days prior to the first seizure. King has never had another seizure since the healing session. The neurological symptoms were completely gone after 4 days. Needless to say, he’s never received another vaccination.